The chosen emblem that represents our company is a conglomeration of several historical Texas flags. The banner is unique in that its creation was designed by our own Josh Rieder and implemented by William Scott. The design is multifaceted. First, the plain red banner of the Alabama Red Rovers, our primary portrayed group, is at first appearances only a red square, and only recognizable to a handful of historians. Secondly, it was felt that a symbol of what our company wishes to preserve would be better conveyed with the use of several easily recognizable flags. Each flag has its own story and role in the history of Texas. However, each of these flags symbolizes a common theme felt by our organization and is shared by many other Texians’; Freedom, Liberty, Self Reliance, and an intangible sense of preserving and protecting these virtues. Our intent with this banner is to spread the awareness of who Texians’ were, and who Texians’ are today. What’s the difference between a Texan and a Texian? A Texan is anyone who was born or lives in Texas. A Texian is anyone who has the belief and ideal of freedom and liberty. In short a Texian is a patriot. This is why we call this flag the Texian Patriot flag. There are four primary flags represented in this design, they are the Dimmit, Alabama Red Rovers, DeZavala and the current Texas Flag. 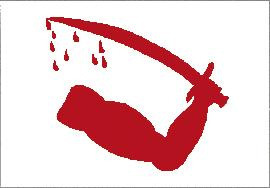 Although it was initially proposed to incorporate additional historic flags, namely the Gonzales’s Come and Take It and William Scott, it was decided that anything more would be redundant and clutter the flag. We will discuss the represented flags, as well as the other relevant flags that were considered for use. 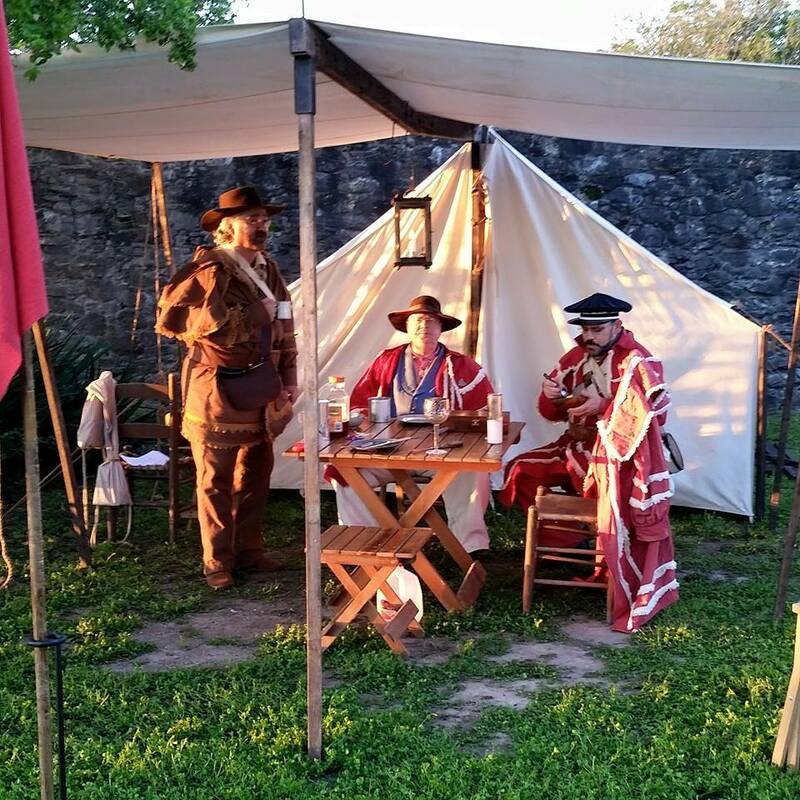 Dimmitt’s garrison belonged neither to the regular army nor to Austin’s volunteer army, but was an independent command composed of volunteers who captured and garrisoned La Bahía. When Francis W. Johnson and James Grant arrived at Goliad with a force en route to capture Matamoros, in the Matamoros Expedition of 1835–36, both men, being loyal to the Constitution of 1824 and antagonistic toward Dimmitt, and each thinking himself to be commander of the Texas army, demanded that the bloody-arm flag of independence be lowered and seized the garrison’s transportation stock and many supplies. These actions induced Dimmitt to resign his command on or about January 10, 1836. 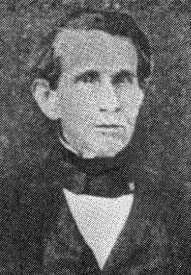 Late in 1835, a copy of the Huntsville Democrat made it into the hands of a prominent and influential North Alabamian, Dr. Jack Shackelford. Shortly after reading this plea for help, Shackelford stood in the town square of Courtland, Alabama and made his own plea to the people of Courtland to mobilize and send aid to the suppressed Texans in their aid for independence. After some discussion, several leading citizens of Courtland started donating sizable contributions to equip a company of volunteers for service to Texas. Before long Shackelford had about sixty volunteers ahead of him, of whom they elected Captain. As a third of Courtland’s population had volunteered, the remaining citizens of the hamlet also mobilized in making the Volunteer company uniforms, the ladies and children of the town made uniforms for their husbands, fathers, sons, nephews, cousins or friends. There were two uniforms made one for field use the other for dress. Field use consisted of caped hunting frocks and jeans made of a rusty red dyed linsey-woolsey, had large hunting knives strapped to their hips and coonskin caps atop their heads; their dress uniforms were red velveteen jackets and caps worn with white pants and a blue sash. 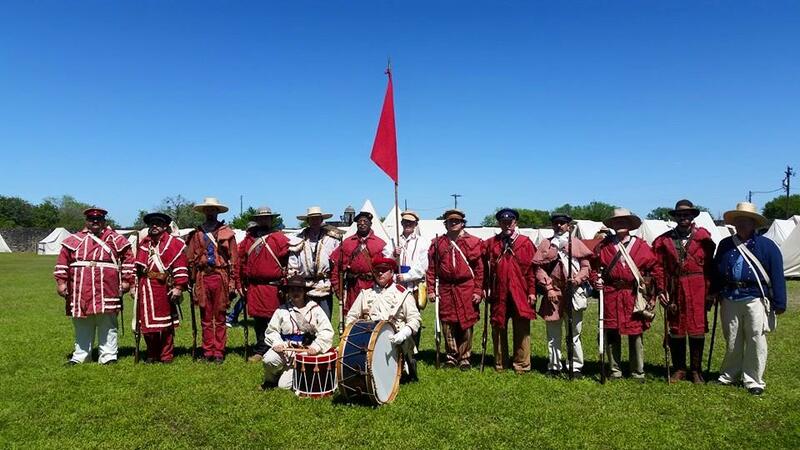 The ladies of Courtland also presented the red clad soldiers with a simple red banner to serve as a company guidon and donned the men, “The Alabama Red Rovers.” The company would eventually find itself in Goliad under the command of Col. Fannin. 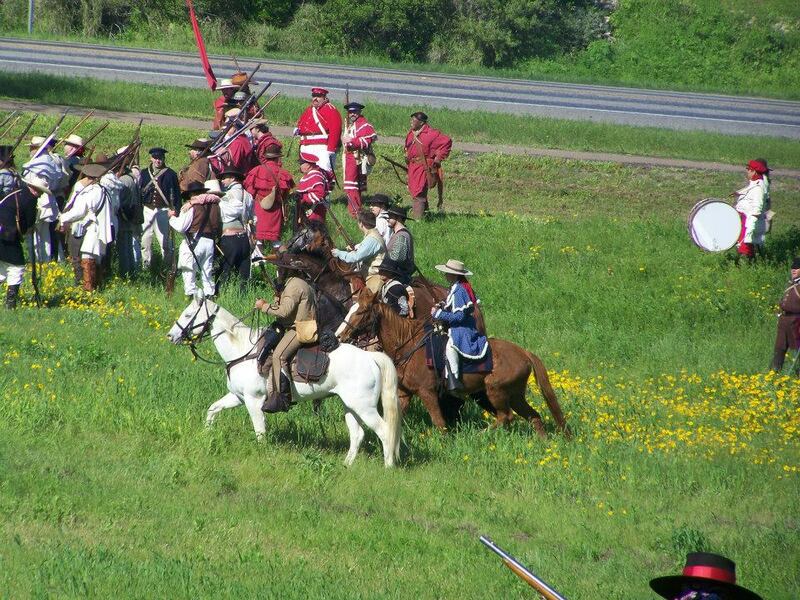 The Red Rovers would be Fannin’s vanguard on his exodus before nearly all were killed during the Goliad Massacre. The first Constitutional Convention Declared Texas’ Independence from Mexico, wrote the first Republic of Texas Constitution, and appointed its first leaders. During the session, they also designed and approved a flag for the new republic. This flag that has caused the most confusion is called the “De Zavala Flag” named for the first Provisional Vice President of the Republic of Texas, Lorenzo de Zavala. He is said to have proposed that the letters of T E X A S be added to the national standard during the convention held at Washington-on-the-Brazos which began on March 1, 1836. The Washington Convention records mention many conflicting comments about the design of the first proposed flag, but there is no evidence that this flag was ever made or flown, and in fact there is no mention in the records of the convention that Lorenzo de Zavala made such a motion. 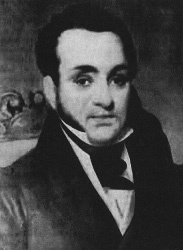 Some historians say that portions of the records of the 1836 convention are missing, and this is why Lorenzo de Zavala is not mentioned as making such a motion in the convention records. However, another member of the convention, Charles Taylor, did make such a motion. 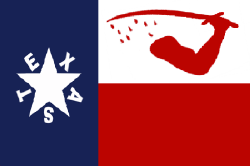 The members of the convention must have considered at least one of the early flags flown in Texas as the national standard, regardless of whether or not the flag was official or not. However, the “De Zavala Flag,” a blue flag with the five-pointed white star in the middle and the letters T E X A S spelled out around the points of the star has become one of the more well-known and displayed historic flags in modern day Texas, and in fact this flag is considered by most people to have been the first official Republic of Texas flag. A similar flag, without the letters of T E X A S was the flag of West Florida in 1810, when the citizens of Baton Rouge revolted against Spanish rule in West Florida. 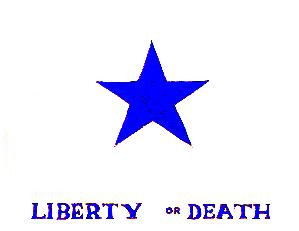 This was the first known flag to use a single five-pointed star as a lone star symbol for independence and was probably the inspiration for our “Lone Star Flag” in Texas some 25 years later. With Santa Anna’s surrender, Texas gained its independence, and became a sovereign nation. With this new found independence, it was logical to create a better flag. 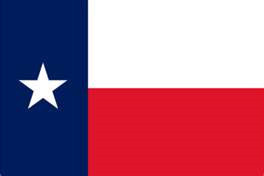 In 1839 the flag that we now associate with Texas was designed and approved. The flag maintained its lone star, and serves as a banner and symbol for Texas to this day. Perhaps no flag was more remembered for its defiant nature than this one, showing a cannon and the challenge, “Come and Take It”. In late September, 1835, the Mexican garrison at San Antonio sent a few men to Gonzales to recover cannon that had been loaned to the town. The citizens of Gonzales denied the request. The Mexicans sent dragoons under Captain Francisco Castaneda to demand the cannon be returned. As word of the conflict spread, a group of 200 armed Texans was formed. Two women in Gonzales, Cynthia Burns and Evaline DeWitt, painted this flag on cotton cloth, depicting the cannon, the Texas Lone Star and a clear taunt to the Mexicans. 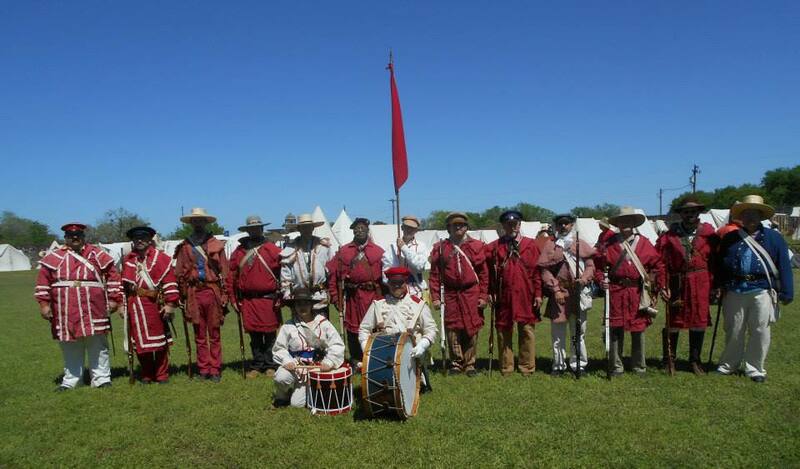 The Mexican troops moved north to Gonzales. The Texans decided that they had to attack before the Mexican force grew larger and stronger. They crossed the river that evening, formed their battle lines and surprised the Mexicans at dawn on October 2nd, 1835. The battle that day was short; when the Texans opened fire, the Mexicans withdrew. This flag represents the defiant, independent spirit of Texans that exist to this day. By the mid-1830’s, the idea of independence from Mexico was gaining wide spread support in Texas. This growing theme became a movement, and its followers were known as independence radicals. Captain Scott was one of the independence radicals. These men were against negotiation, dialog, and delay . . . they supported an immediate declaration of Independence from Mexico. 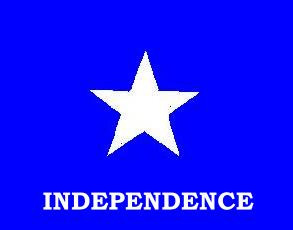 Scott had this flag made, which prominently featured his answer to the issues in Texas at the time; INDEPENDENCE. He realized that independence meant war, and he was ready for the fight. 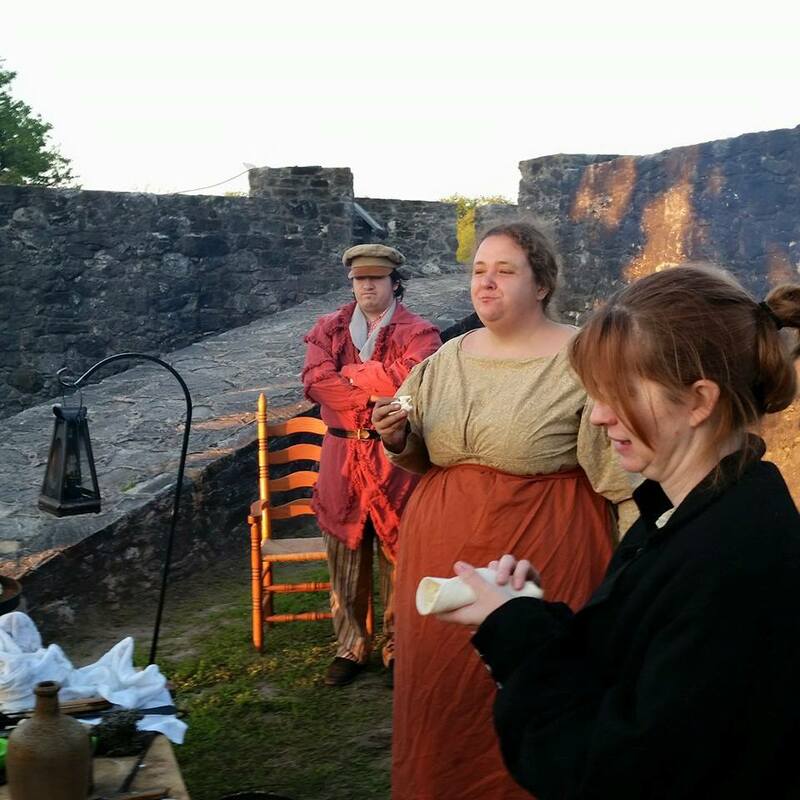 Captain Scott and his company of 30 men, Lynchburg Volunteers, reported to San Felipe, the capital of Austin’s colony, and they were deployed to Goliad. Colonel James Fannin and his men were also at Goliad at the time. Texas did declare its Independance on March 2, 1836. Fannin and all his men perished at the Massacre of Goliad, on March 27, 1836. 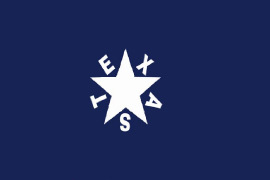 Note that this was a very early flag featuring a “Lone Star”. The defiant spirit of the Texans was capturing the imagination of many of the people in the United States. Joanna Troutman, an 18 year old girl from Macon Georgia made this flag for a group of Georgians who were going to Texas to support the Texas Independence movement. While it was not made by a Texan, it clearly captured the spirit of the Texans, and their willingness to die for the cause. This flag was raised when the Georgians arrived at Velasco. It was an inspirational symbol in the desperate time between the Battle of the Alamo and the victory at San Jacinto. Joanna Troutman is remembered as a hero to this day. 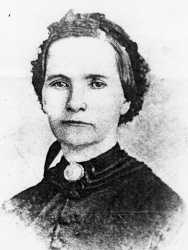 She died on July 23, 1879, and her portrait hangs in the state capitol.